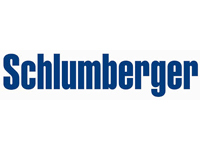 Schlumberger limited (NYSE:SLB) is the world’s leading supplier of technology, integrated project management and information solutions to customers working in the oil and gas industry worldwide. Today, our real-time technology services and solutions enable customers to translate acquired data into useful information, then transform this information into knowledge for improved decision making-anytime, anywhere. Harnessing information technology in this way offers enormous opportunities to enhance efficiency and productivity. This is a quantum leap from providing traditional ‘just-in-case’ information to delivering ‘just-in-time’ knowledge that meets the changing needs of our customers.